Windsor is a community close to its agricultural roots. Rolling hills dotted with live oaks, and acres of vineyards surround the many beautiful homes in Windsor. 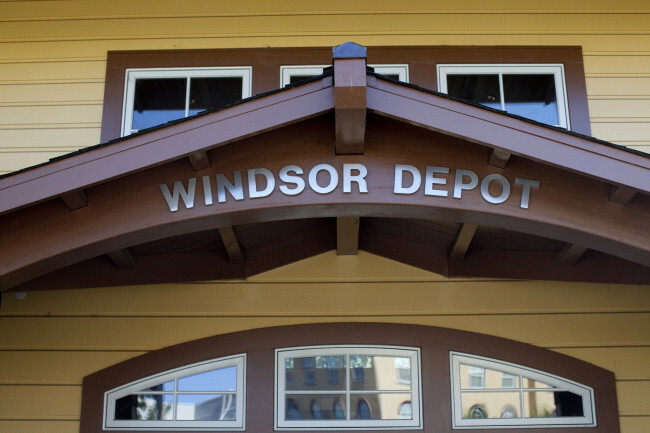 Windsor has done an incredible job of preserving its roots while looking to the future. Its $120 million “Old Town” redevelopment project has created an award-winning mix of shopping and housing centered on the four-acre town green. In an echo of times past, some of the owners of the restaurants, bookstores, and boutiques live above their stores. 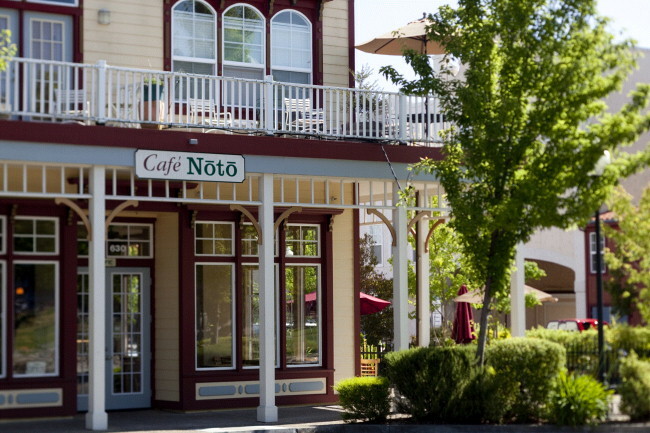 Today the plaza serves as a vibrant meeting place and focal point for town activities, including a farmer’s market held Thursdays and Sundays where you’ll find top chefs from the Bay Area’s restaurants, sourcing the ingredients for that night’s menu. For dining, there is upscale Restaurant Mirepoix (check out the goat cheese foam), and its more casual cousin, Bistro M.
Schools are important in Windsor. The Windsor school district boasts four California Distinguished Schools, and two California Golden Bell Awards. Based on a program of small learning communities that combine teams of teachers with groups of students in order to foster a sense of community within a large school population, the newly opened Windsor High School is considered to offer some of the best academic programs in Sonoma County. Windsor is host each year to the Sonoma County Hot Air Balloon classic, an event that draws dozens of balloonists and thousands of families who watch the spectacular lift-offs fill the dawn sky. For Windsor real estate market information, head over to our Windsor real estate market conditions page.